Opal white glass shade with stainless steel band. Warm white colour light 1700 Lumen. Add a refined and polished look to your home interior decor with the beautiful Skyraker ceiling light fixture. With opal white glass shade and angled stainless- steel band, this light is ideal to be fixed in the entryway, hall, bedroom or living room. 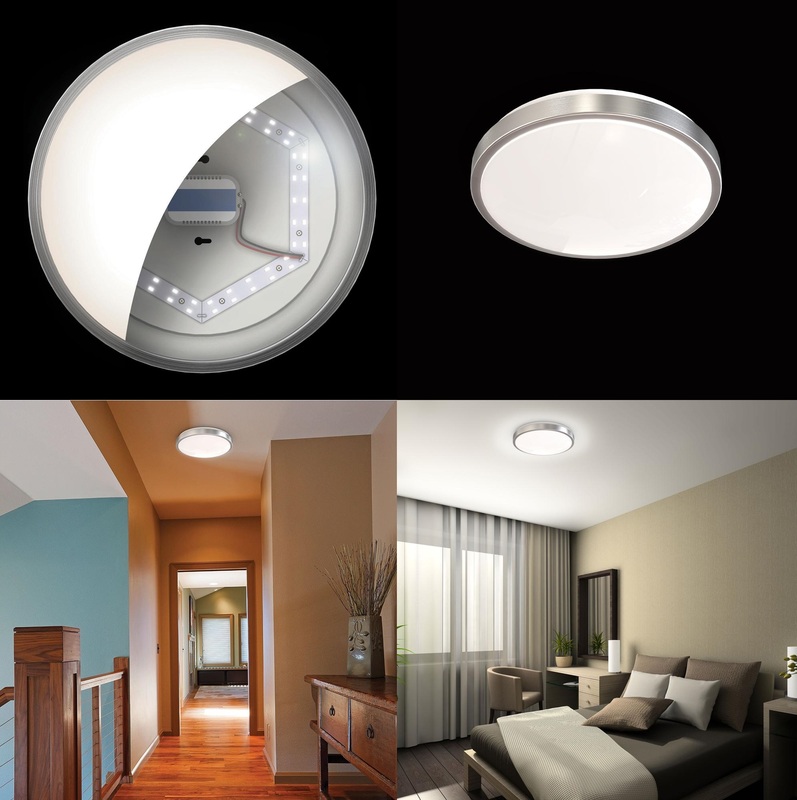 Skyraker will provide you a beautiful downward and ceiling projection lighting. This ceiling fixture requires minimal assembly that can be done using simple tools. With IP44 protection and modern look, it is suitable for any room in your house even for damp locations. The hexagon arrangement of the LED chips is made for optimal light distribution with shadow-free effect. Each copper LED strip is directly mounted on to the back plate of the light fixture. This is the best cooling medium for the surface mounted SMD2835 chips.